Dan has found the woman of his dreams, and plans to propose. But he has unfinished business to settle with the father who abandoned him as a boy. A touching story of faith and love overcoming a lifetime of anger. 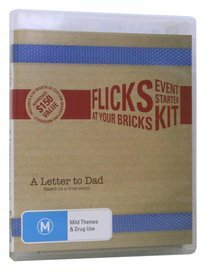 About "A Letter to Dad (Flicks At Your Bricks Series)"